From left: Lizabeth Cohen, dean of the Radcliffe Institute; Judy Woodruff; Michele Norris; and Drew Gilpin Faust, president of Harvard University. TV journalist Judy Woodruff paid tribute to her late friend and former “PBS NewsHour” coanchor Gwen Ifill at the Radcliffe Day lunch Friday. 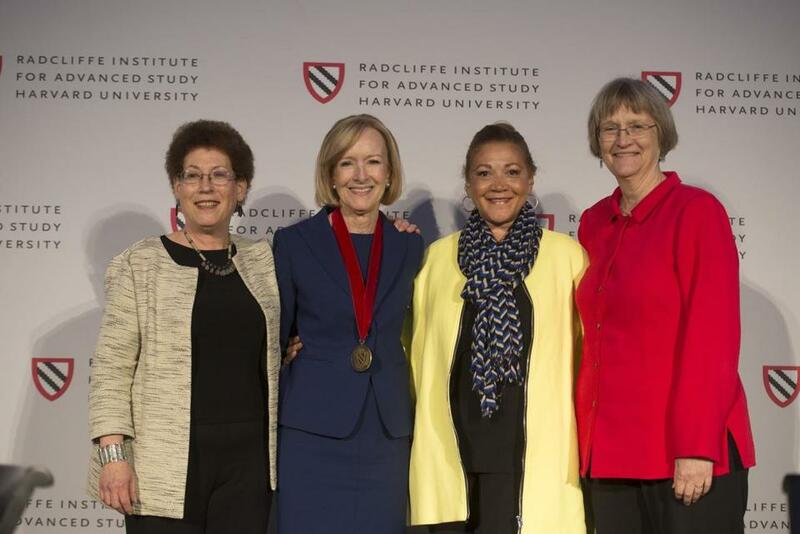 The two women were honored with Radcliffe medals, with Ifill’s friend, former “All Things Considered” host Michele Norris, accepting on her behalf. On a lighter note, Woodruff said she was heartened recently to be approached at an event by two 20-something women who are fans of “PBS NewsHour,” a news show whose demographic skews a little older than millennials.